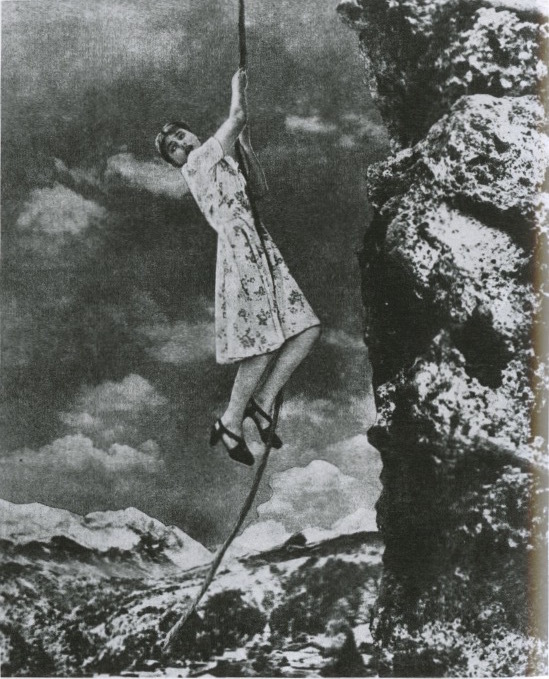 Grete Stern (1904-1999) was born in Elberfeld, near Wuppertal, Germany, on May 9, 1904, and worked as a freelance graphic design and advertising artist in her hometown until moving to Berlin in 1927. There she studied under Walter Peterhans, who would soon become the head of photography at the Bauhaus. In 1928, Stern and Ellen Auerbach opened ringl+pit, a portraiture and advertising studio in Berlin that incorporated both Avant-Garde and commercial styles. Many of the works they created at ringl+pit generated proto-feminist imagery and ideas. While in Berlin, Stern met Horacio Coppola, an argentine photographer, whom she would later marry. In 1933, as the Nazis rose to power and closed down the Bauhaus, Stern and her husband Horacio Coppola fled Germany, living in London for two years until moving to Buenos Aires. In Buenos Aires, she and her husband operated a graphic design, photography, and advertising studio that operated from 1937-1943. Although they attempted to create a modern studio, their way of working was too far ahead for Buenos Aires; at the time there were no other advertising studios in the city. Stern encountered and worked with the city’s intelligentsia, photographing many important figures such as Pablo Neruda and Jorge Luis Borges. In 1943, Stern opened her first one-woman exhibition, which comprised entirely of portraits. Stern created a photography workshop Museo Nacional de Bellas Artes, where she worked from 1956 until 1970. Currently, MoMA is exhibiting her work in the show From Bauhaus to Buenos Aires: Grete Stern and Horacio Coppola.